Qihoo 360 may become the largest Chinese company to flee foreign markets. But first the antivirus group’s bosses need at least $6 bln to buy out other shareholders. Banks might lend half – or more, if mainland lenders feel generous. Finding billions in new equity may be harder. 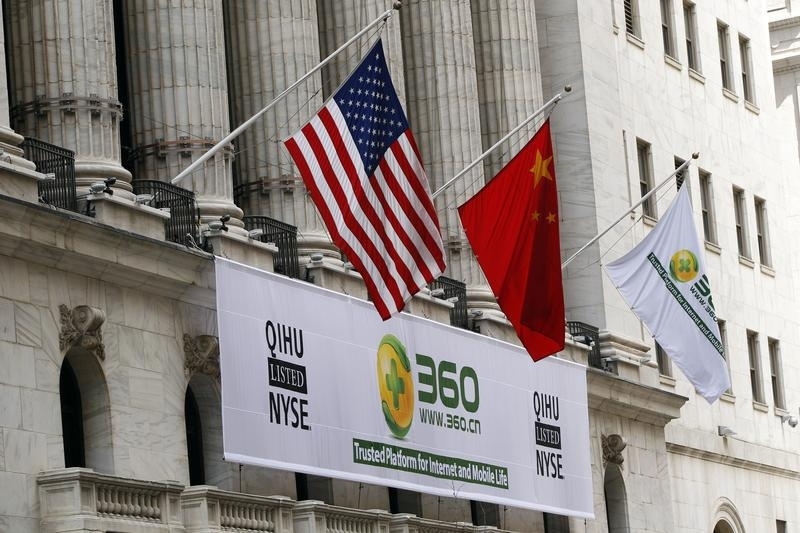 A sign advertising the Qihoo 360 Technology Co Ltd is hung with the U.S. and Chinese flags outside of the New York Stock Exchange before the company's Initial Public Offering (IPO) in New York March 30, 2011. Qihoo 360 has received a buyout proposal from Chief Executive Zhou Hongyi, the Chinese search and antivirus specialist said on June 17. Zhou’s consortium is proposing to pay $77 in cash for the company’s U.S.-traded American depositary receipts. Two days later the group said its three independent directors had formed a “special committee” to consider the non-binding proposal, and had hired the law firm Skadden, Arps, Slate, Meagher & Flom for advice. This is the latest and largest in a string of actual or proposed “going private” transactions involving Chinese groups such as 21Vianet Group, E-House China Holdings, Jiayuan.com, Perfect World, Renren, Shanda Games,and WuXi PharmaTech. Qihoo’s ADRs closed at $69.54 on June 19.